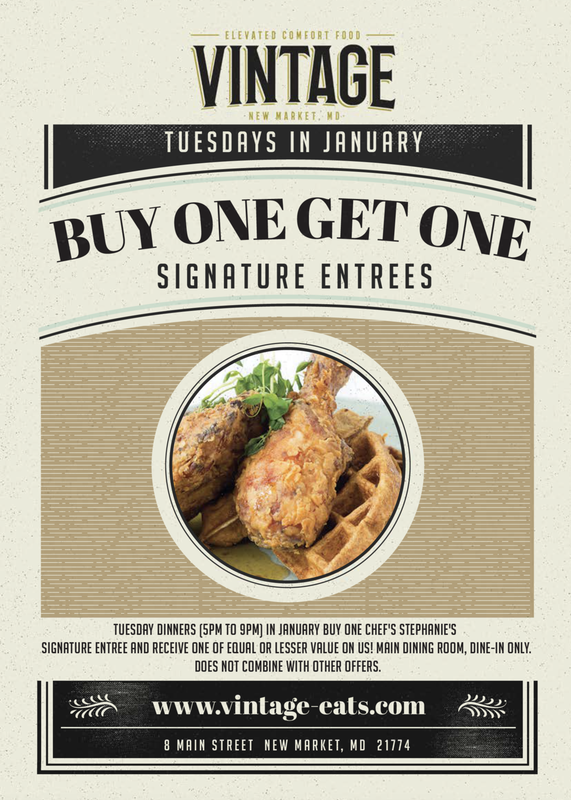 Here's the nitty-gritty: Tuesdays in January during dinner (5pm to 9pm), buy one Chef Stephanie's Signatures entree or entree special and get one of equal or lesser value, on us! Good only for in-restaurant dining in the main dining room, doesn't combine with other offers. Simple!